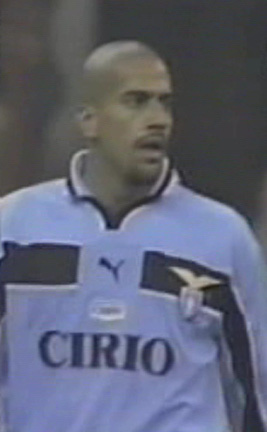 Argentina's La Brujita, Juan Sebastian Veron was an expensive summer signing who helped form a world-class midfield that Lazio used as a lethal weapon to clinch the Scudetto and Coppa Italia double. Speed, control and vision. And low socks. The Veron way. 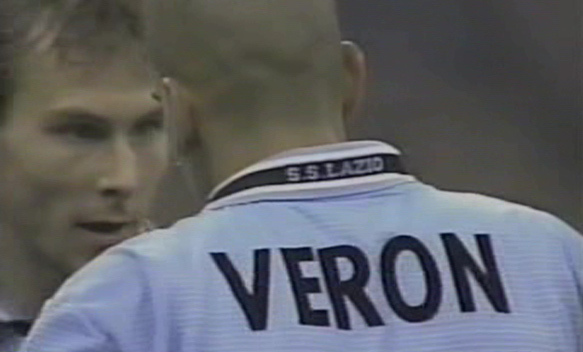 Celebrating Veron's goal against Roma. In discussion with Nedved about the next free kick. Celebrating his magical corner kick goal strike against Verona. 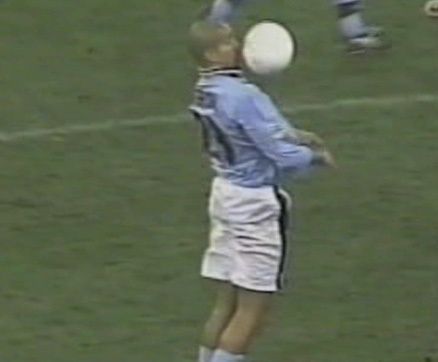 Veron with the assist on a perfectly weighted ball into the box. Simeone got the only goal of the match on the other end of this pass, downing Juventus. La Brujita appeared in the 2010 World Cup for Argentina.